What do you grab on your mad dash out the door when heading to work? My guess is keys, wallet and a mobile device. For many, the phone or tablet ranks higher in importance than lunch, which is often left forgotten in the fridge! Welcome to the “Bring Your Own Device” (BYOD) era, the movement that accepts employees using their own personal technology in the workplace. So what does BYOD mean for your eLearning? Let’s check out the pros and cons of this latest learning trend. Employees now have the expectation that the technology they use at home will also be available at work and a detailed BYOD policy can allow you to provide this benefit. BYOD enables people to work with the technology they are most comfortable with, which in turn increases satisfaction and willingness to participate in eLearning. Most people keep their mobile devices on them at all times. 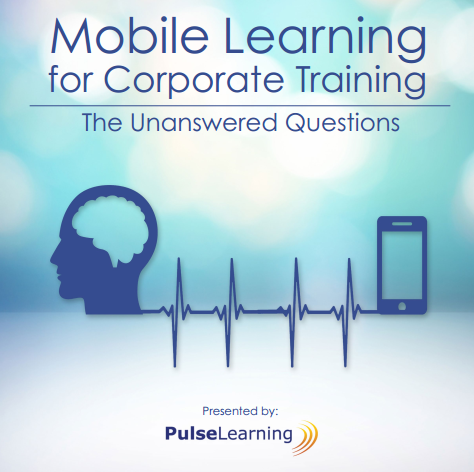 BYOD will enable your employees to learn anywhere, anytime using their preferred technology. Mobile learning gives you flexible options when scheduling training and enables learners to catch up later at a time that’s convenient for them. Although not the goal of BYOD, the reality is that your company will save money. As the shift toward BYOD increases, the expense of technology (hardware and software) will decrease, absorbed by the employees. BYOD greatly increases the number of platforms and devices your eLearning needs to support. Desktop, notebook, tablet and even phones will need to be considered as available devices. Perhaps the greatest BYOD challenges will be felt by testing teams. Gone are the days of targeting a single browser, operating system or resolution. Testers now need to consider the behavior of eLearning from multiple perspectives. We’ve become accustomed to the impressive creative effects and interaction offered by Adobe Flash; however, its incompatibility with mobile devices has seen the rise of HTML5, which still has a way to go to offer the same visual experience. Aside from the challenges it raises, the general trends towards BYOD is increasing, so it’s an important consideration for all your new eLearning projects. Design for simplicity in relation to content and visual experience. Limit one main idea per slide to avoid content overload on small devices. Opt for wider accessibility rather than designing for specific device capabilities – it’s better to be inclusive than showcase fancy features. Ensure you have a plan for comprehensive cross-platform testing. Get a solid BYOD policy in place for your company.